This puzzle tin has great indention that looks like puzzle pieces come off.The puzzles come in a tin box with a handle so you can carry it anywhere with you! This Star War puzzle tin has great indentions that look like puzzle pieces come off. The puzzles come in a tin box with a handle so you can carry it anywhere with you! A must-have for Star Wars fans. With measuring of 7.64"x6.02"x3.15", this puzzle tin contains a 48-piece Star War puzzles that measures 15 inches by 12.5 inches when assembled.The Star War puzzle tins look really cool and they are really great little box that you can use for other purposes but the puzzle themselves are to be desired. Tinpak has very good manufacturing facilities and workers with very good practise to make sure all the custom puzzle tins are safe to meet the target market's food packaging regulations. 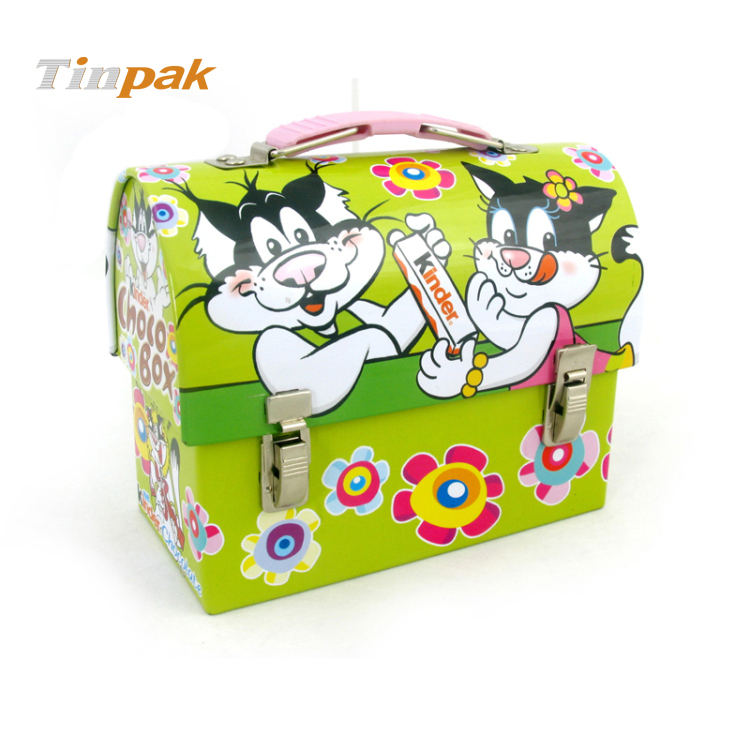 Your desired designs are welcomed on Tinpak. This is listing for a novelty domed lunch tin box with plastic handle. The handle is sturdy and the "flip" locks work well. The lip balm tin containers are an excellent packaging containers for many products such lip balm,lip gloss,mini candles, cosmetics, herbs etc. The lip gloss tin boxes are an excellent packaging container choice for many products such lip gloss, lip balm, mini candles, cosmetics,herbs etc.